Sometimes we don’t want to disable notifications but we don’t also want to get sounds of them because several reasons at our lives. 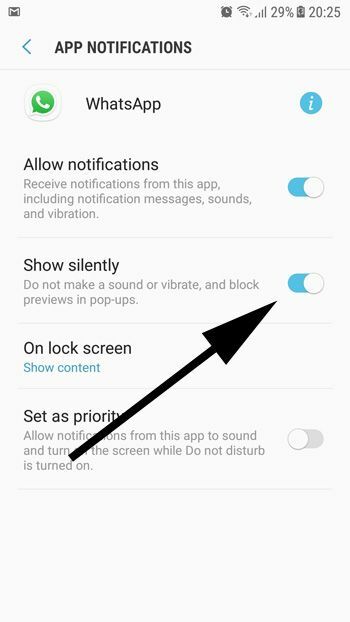 There is a good option for that on Android devices and you can disable sounds of notifications with the feature of your phone. 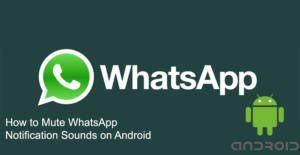 We are going to give you a short information about mute these sounds on WhatsApp. Your phone won’t also vibrate whenever you get a notification with that. We hope that, it is going to be a useful info for you. 3-) Tap on Application Manager. If there is not any application manager on your device please ignore this step. 6-) Enable Show Silently section. Please do not disable “Allow Notifications” section, otherwise you will turn off all notifications from WhatsApp. You can see the picture below for this setting. You will stop all sounds of notifications with this feature. Your phone won’t also vibrate but notifications will still appear on your lock screen.